A new resource for leaders looking to adapt to future trends is a must read by NSPRA veteran Gary Marx, APR. Whether we look at rapidly shifting demographics, constantly emerging technologies, environmental challenges, the way we learn or the way we lead, the world is changing faster and more dramatically now than at any time in human history. None of us can afford to be left behind. 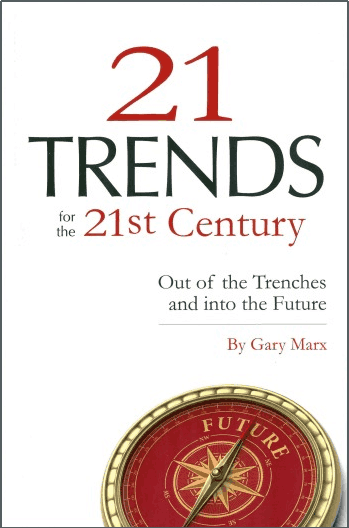 21 Trends for the 21st Century gets to the root of the most important trends reshaping society today and offers a deeper understanding of these dynamics to prepare tomorrow’s leaders for what comes next. This book contains insights on topics ranging from education and learning in the 21st century, energy and environmental challenges, demographic shifts, technology trends, public and personal leadership, economic pressures, work-life balance, and international realities.